The University of Amsterdam (UvA) has its origins in the Athenaeum Illustre in 1632 and is today one of the largest general research universities in Europe. It has over 30,000 students and 5,000 employees. 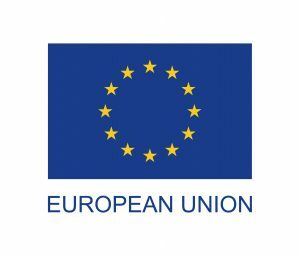 It participates in LERU, the League of European Research Universities, and Universitas 21, the global network of research universities for the 21st century. Media Studies (with Communication Science) is ranked 6th by QS World University Rankings in 2016. The research group in the project is the Digital Methods Initiative (DMI) from Media Studies and the Amsterdam School for Cultural Analysis. DMI is the research program of the Chair in New Media & Digital Culture, headed by Prof. Dr. Richard Rogers. The forerunner of the program pioneered issue mapping with its most well-known piece of software, the Issue Crawler, funded by the Information Program of the Soros Foundation. Through three Ford Fellowships as well as support from the MacArthur Foundation, Open Society Foundations, Mondriaan Foundation, Hivos, Gates Foundation, the Dutch Ministries of Foreign Affairs and Education, Culture and Science and the European Commission, Rogers and his team have built some 60 tools that collect online data and map and visualise social debates and issue networks on the web. More substantively, the Digital Methods Initiative is dedicated to reworking method for the Web, concentrating on the opportunities afforded by the rich data online. Treating the Web as a data set as opposed to a cyberspace or virtual world, DMI seeks to learn from the methods employed by search engines, social media and online platforms generally, and repurpose them for social and cultural research. DMI is online at http://www.digitalmethods.net. Role in the project: In Cleopatra UvA will bring its expertise in the Digital Methods Initiative training and work on a selection of event-centric cross-cultural studies in WP6.